SPRING CREEK – A Spring Creek couple was air-lifted to a Utah hospital Sunday after an apparent domestic dispute left one with gunshot wounds and the other a slit throat. Deputies were dispatched to a residence on Holiday Drive on a report of shots being fired. Elko Police Department officers and troopers from the Nevada Highway Patrol responded to assist. Inside the home they found a female, Courtney Rowley, with gunshot wounds to the chest/abdomen and a male, Brian Rowley, with a knife wound to the neck, the Elko County Sheriff’s Office reported Monday morning. Medical personnel from the Elko County Ambulance, Elko County Fire and Reach Air and Med X Air arrived on scene. Both were taken to the University of Utah for treatment of their injuries. An update on their condition has not been provided. Detectives investigating the incident believe the shots were fired by Brian Rowley. They are conducting interviews and continuing their investigation. “The Elko County Sheriff’s Office would like to thank the following agencies for their assistance: Elko Police Department, Nevada Highway Patrol, Elko County Fire, Elko County Ambulance, Reach Air Medical, and Med X Air Medical,” stated a release from the department. According to Elko Daily Free Press records, the Rowleys were issued a marriage license in Elko County in April 2012. Brian Rowley was arrested in March 2007 for battery constituting domestic violence but the charges were dismissed with prejudice after the court determined an amended criminal complaint was deficient. He was also arrested in April 2007 for battery and given a suspended sentence in February 2008 on condition of no new charges being filed in the next year. Brian G. Cuevas, 25, of Sun Valley was arrested on Interstate 80 on a warrant for failure to appear after bail on a misdemeanor crime. Kathy Jeanette Medina pleaded guilty to resisting a public officer and was given a suspended sentence of 30 days in jail and was ordered to pay $355 in fees and fines. Kimberly Marie Nye pleaded guilty to driving without a valid driver’s license and was ordered to pay $115 in fees and fines. Francisco Gallardo pleaded no contest to reckless driving and was given a suspended sentence of 30 days in jail, and was ordered to serve 10 days in jail, pay $890 in fees and fines and fulfill requirements related to the charge. Eugene Camas pleaded guilty to trespassing and was ordered to pay $195 in fees and fines. Ramiro Duran pleaded guilty to one count of driving without a valid driver’s license and one count of speeding and was ordered to pay $330 in fees and fines. Angelo Panisse Jones pleaded guilty to one count of destroying or injuring real or personal property, one count of assault, and one count of disturbing the peace and was ordered to pay $1,110 in fees and fines. Carl Wayne Brannon pleaded no contest to obtaining money or property by false pretenses and was ordered to serve 92 hours in jail and pay $355 in fees and fines. Jacob David Robertson pleaded guilty to driving under the influence, second offence, and given a suspended sentence of 30 days in jail and was ordered to serve 10 days in jail, pay $1,050 and fulfill requirements related to the charge. Travis Jay Pine pleaded no contest to resisting a public officer and was given a suspended sentence of 90 days in jail and was ordered to pay $195 in fees and fines. Chelsea Nichole Hadley pleaded guilty to inattentive driving and was ordered to pay $195 in fees and fines. Jacob Jensen pleaded guilty to one count of driving under the influence and one count of speeding and was given a suspended sentence of 30 days in jail and was ordered to serve 48 hours in jail, pay $1,075 in fees and fines and fulfill requirements related to the charge. Antino Wayne Foelkl pleaded guilty to displaying a fictitious or cancelled license plate or certificate of title and was ordered to pay $195 in fees and fines. Kaitlynn Teresa Harvey pleaded no contest to disturbing the peace and was ordered to serve 49 hours in jail and pay $355 in fees and fines. Ryan Reed Anderson pleaded no contest to violating a temporary order for protection against domestic violence and was given a suspended sentence of 90 days in jail and was ordered to complete 26 sessions of counseling and pay $640 in fees and fines. ELKO – A suspect in Tuesday’s armed robbery and attempted robbery was booked Thursday into Elko County Jail on 14 charges, with bail totaling more than $1 million. Jayce Ralls, 24, was taken into custody Friday afternoon after an Elko County Sheriff’s deputy spotted the vehicle used in the crimes at a Spring Creek residence. When Ralls left the residence in the vehicle, Elko Police Department detectives pulled him over and arrested him. A search warrant was served on the vehicle and a pistol was recovered, according to police. Ralls is suspected of attempting to rob the Red Lion Casino on the east end of town Tuesday morning and robbing a Shell station on the west end about half an hour later. A clerk at the station was shot in the head with what is believed to have been a pellet or BB gun. The robber escaped with cash from the station. Police said no money was taken from the casino. Elko Police Capt. Ty Trouten reported that the suspect’s vehicle was identified through surveillance videos. After Ralls’ arrest, search warrants were executed to recover evidence at two locations in Spring Creek, and served Friday by Elko Combined Narcotics Unit, Elko County Sheriff’s Office and Elko Police Department. Nevada Gaming Control also assisted in the investigation. Charges against Ralls include robbery with a deadly weapon, four counts of assault with a deadly weapon, battery with a deadly weapon, three counts of kidnapping, attempted robbery with a deadly weapon, two counts of burglary, and two counts of battery to commit mayhem, robbery or grand larceny. He was being held Thursday on $1,160,000 bail. ELKO – Local law enforcement agents arrested a suspect Friday afternoon in the April 2 robbery of a gas station and attempted robbery of a casino. Jayce Ralls, 24, was taken into custody without incident. 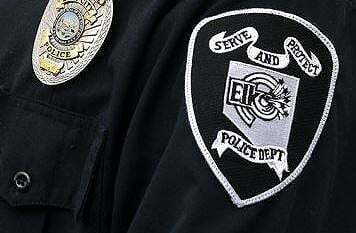 Elko Police Capt. Ty Trouten reported that the suspect’s vehicle was identified through surveillance videos. It was located Thursday in Spring Creek by an Elko County Sheriff’s deputy. Once the vehicle was being driven on Friday it was stopped by Elko Police Department detectives. A search warrant was served on the vehicle and a pistol was recovered. 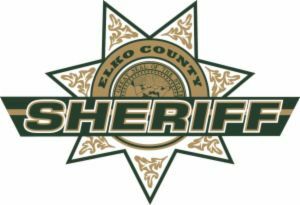 Search warrants were executed to recover evidence at two locations in Spring Creek, and served Friday by Elko Combined Narcotics Unit, Elko County Sheriff’s Office and Elko Police Department. The crimes were reported within half an hour of each other Tuesday morning. Police were first called to the Red Lion Casino at about 5:20 a.m.
“The suspect armed with a handgun pointed at an employee and demanded money,” police said. He fled the scene in an unknown vehicle. No money was taken. At 5:44 a.m. a man entered the Shell Station on West Idaho Street, brandished a handgun and demanded money. The injured man was taken to Northeastern Nevada Regional Hospital and treated for minor injuries. The investigation leading to Ralls’ arrest was a collaborative effort of Elko Police Department, Nevada Gaming Control, Elko County Sheriff’s Office, and Elko Combined Narcotics Unit. “The Elko Police Department would like to thank the agencies and cooperating businesses that have assisted in this investigation,” said Trouten. ELKO – Law enforcement agents confiscated more than 8 pounds of meth and several hundred chickens — both living and dead — during a March 19 drug bust in Osino. The homeowner and two other residents were formally charged Friday with a combined 20 criminal counts relating to their arrest on drug trafficking and animal abuse charges. Elko’s Combined Narcotics Task Force led the raid at the Kale Drive home of Jorge Landeros Ruiz, 42. Also arrested were Hector H. Ramirez-de la Torre, 34, and Eduardo Ruiz, 33. All three were charged in a single complaint. According to probable cause documents filed with the complaint, narcotics detectives made three large purchases of meth from Ramirez-de la Torre in March. When they served a search warrant at Ruiz’s residence, they found half a pound of methamphetamine and a stolen firearm in Ramirez-de la Torre’s trailer on the property. A container found between two chicken coops on the property contained several bags that tested positive for meth and cocaine. Elko Combined Narcotics Unit detectives, as well as personnel from the Elko Police Department and Elko County Sheriff’s Office, remained on scene for 10 days and nights conducting extensive searches and investigations regarding the animals, resulting in the location of additional illegal drugs and other evidence. Detectives also provided food, water, and veterinary care for the various animals. In total, 8.8 pounds of methamphetamine and $13,000 in U.S. currency were confiscated, the ECNU reported Thursday. Street value of the meth could be $160,000 or more, according to the website narcoticsnews.com. Eight firearms were recovered from the property. At least one of the firearms recovered had been reported as stolen. Additionally, several hundred items of evidence related to fighting roosters, or “cockfighting” were recovered from the property. More than 500 chickens were located on the property, as well as several incubators. With the assistance of the Nevada Department of Agriculture and the Elko County Sheriff’s Office Animal Control, 248 roosters were identified as having been abused and/or treated cruelly. Pursuant to a court order, these roosters were humanely euthanized by a veterinarian on scene. A total of nine dogs and four horses were surrendered to Animal Control, with one horse being in such poor condition that it had to be euthanized by a veterinarian on scene. All three defendants face multiple charges of unlawful killing or maiming of an animal kept for companionship or pleasure, and possession of an animal with intent to have it fight with another animal. Ramirez-de la Torre faces four counts of drug trafficking, and possession of a firearm by a prohibited person. Jorge Ruiz faces two counts of drug trafficking, and maintaining a place for unlawful use of a controlled substance. Eduardo Ruiz faces one count of drug trafficking, and possession of a firearm by a prohibited person. Paul Getano Forgnone III pleaded no contest to driving with a suspended driver’s license and was ordered to pay $355 in fees and fines. Jesse Lauren Peniska pleaded guilty to driving with a suspended driver’s license and was ordered to pay $355 in fees and fines. Echo Fawn Powers pleaded guilty to theft and was given a suspended sentence of 90 days in jail, and was ordered to serve 60 hours in jail, pay $959.25 in restitution and pay $355 in fees and fines. Easton Hugh Reynolds pleaded guilty to one count of driving under the influence, second offense, one count of failure to properly maintain travel lane, and one count of speeding, and was given a suspended sentence of 45 days in jail, and was ordered to serve 10 days in jail, pay $1,360 in fees and fines, and fulfill requirements related to the charge. Brandon Jacob Silva pleaded guilty to reckless driving with disregard of safety of person or property and was ordered to complete 48 hours of community service and attend a victim impact panel. Michael Wayne Anderson pleaded guilty to reckless driving with disregard of safety of person or property and was given a suspended sentence of 30 days in jail, and was ordered to serve 48 hours in jail, pay $640 in fees and fines and fulfill requirements related to the charge. Catrina Ranee Randall pleaded guilty to minor loitering in place where alcoholic beverages are sold and was given a suspended sentence of 10 days in jail and was ordered to pay $355 in fees and fines. Alexis Destout pleaded guilty to one count of battery and one count of disturbing the peace and was ordered to pay $995 in fees and fines. Rennessa Lee Mann pleaded guilty to one count of driving under the influence and one count of failure to properly maintain a travel lane and was given a suspended sentence of 30 days in jail, and was ordered to serve 78 hours in jail, pay $915 in fees and fines and fulfill requirements related to the charge. Randi Mae Walker pleaded guilty to using or possessing drug paraphernalia and was ordered to serve 10 days in jail. ELKO – Two armed robberies were reported within half an hour of each other Tuesday morning, and an employee was shot in the face during one of them. Descriptions of the first incident at the Red Lion Casino said the suspect was wearing light-colored pants, while descriptions in the second incident at the Shell station on West Idaho Street said he was wearing dark pants. Police were first called to the Red Lion Casino at about 5:20 a.m.
“The suspect armed with a handgun pointed at an employee and demanded money,” police said. He is described as a male adult, wearing a dark colored jacket and light colored pants. At 5:44 a.m. a man entered the Shell Station on West Idaho Street, brandished a handgun, and demanded money. The suspect in the gas station robbery is described as a male adult wearing all dark clothing. He fled on foot. Police are examining security camera footage for more clues. The last armed robbery in Elko was in late November at Domino’s Pizza. Police were called to the business at 10:15 a.m. Nov. 26 after a man broke a mirror in the bathroom and used a shard of glass to threaten employees and demand money from the till. The man then grabbed money from the register and fled the store. A 21-year-old suspect was found nearby and arrested in that case. ELKO – A former Carlin school teacher received five years probation for possession of methamphetamine for sale Monday in district court. Charlotte E. Rhoden, 37, had pleaded guilty in Elko District Court to one count of possession of a Schedule I or Schedule II controlled substance for the purpose of sale, a category D felony. She was given a suspended sentence of 19 to 48 months in prison with credit for five days served, and was placed on probation for five years by Judge Nancy Porter. As conditions of her probation, Rhoden was ordered to abstain from alcohol, gambling and marijuana use; and obtain a substance abuse evaluation within 60 days at her own expense. She was also ordered to refrain from teaching, except for online classes. Rhoden was arrested shortly after midnight Sept. 7 in a construction zone outside of Carlin after Carlin police officers found 13.5 grams of methamphetamine and drug paraphernalia in her vehicle. She resigned from the Elko County School District later that month. Her sentencing on April 1 comes about two months after she was arrested on a warrant for failure to complete DUI school stemming from a drunk driving conviction in 2017. Upon being booked into the Elko County Jail, authorities said 5.8 grams of meth was found hidden on her person. LAS VEGAS (AP) — A clerk accused of fatally shooting a beer thief outside as he ran from a Las Vegas convenience store will be freed on house arrest and electronic monitoring pending her next court hearing, a judge said Tuesday. Suse J. Antunez-Garcia stood in shackles with her assigned defense attorney, JoNell Thomas, and was not asked to enter a plea to a felony murder charge in the killing of Robert Lee Cook. Las Vegas Justice of the Peace Joe M. Bonaventure said Antunez-Garcia can be freed on $10,000 bail and restrictions and scheduled a May 1 preliminary hearing to determine if the case should be tried in state court. Thomas declined outside court to comment. Antunez-Garcia, 26, followed Cook and a woman outside a downtown store Friday where they scuffled with a store manager after taking several cases of beer, and shot Cook as he got in a vehicle, police said. Cook, 56, was pronounced dead at a hospital of multiple gunshots. The coroner ruled his death a homicide. The woman has not been identified. Clark County District Attorney Steve Wolfson told KLAS-TV that Antunez-Garcia’s actions do not appear to constitute self-defense because there was no indication Cook was armed or posed a significant threat to her or someone else. Wolfson did not immediately respond to messages from The Associated Press. The prosecutor said people can use deadly force to defend themselves or others only if they have a reasonable fear of serious injury or death. In a similar shooting that did not result in death, a 56-year-old store clerk was sentenced in 2015 to four to 12 years in prison for shooting a man in the back of the head when he tried to steal a case of beer in 2014. A jury in Las Vegas found Mariano Tejeda-Zuniga guilty of battery with a deadly weapon and possession of a stolen gun but acquitted him of attempted murder. Last year, a Las Vegas smoke shop clerk was sentenced to three years’ probation for shooting a masked but unarmed 13-year-old boy to death in an apparent grab-and-run theft in December 2016. Raad Sunna was originally charged with murder but pleaded guilty to one misdemeanor count of aiming a firearm at a person.